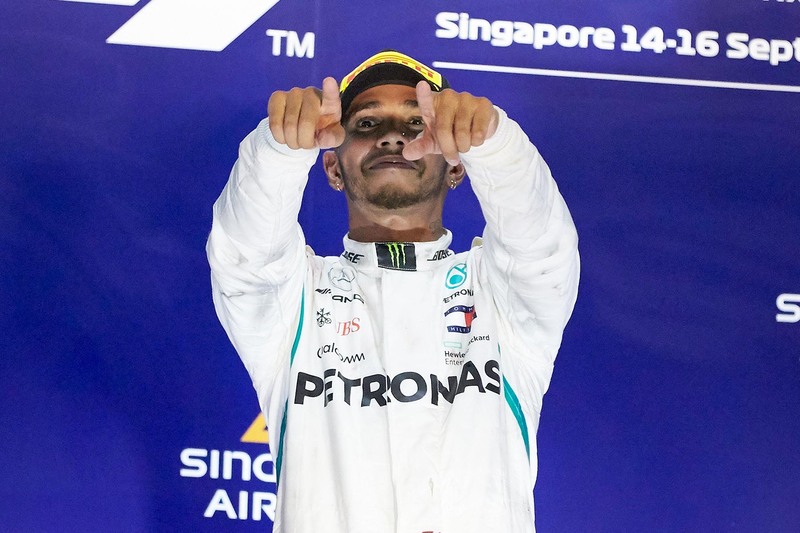 Lewis Hamilton powered his way to a 40-point championship lead over title rival Sebastian Vettel after controlling the Singapore Grand Prix. Vettel couldn’t make a move stick on his Dutch rival at the first turn, but he used his Ferrari’s superior top speed to sweep around the outside of the Red Bull Racing car at turn seven just as the safety car neutralised the race to pick up the pieces from some Force India friendly fire — Sergio Perez had nudged teammate Esteban Ocon into the outside wall at turn three, ending the Frenchman’s race on the spot. “I’m spent!” Hamilton said. “It was a long race — it felt like the longest race of my life. I’m glad it’s over. “After that I think I had a different race than the other guys on a different tyre — pitting was no option because you lose too much time in the pit stop, so we just focused on making it home.